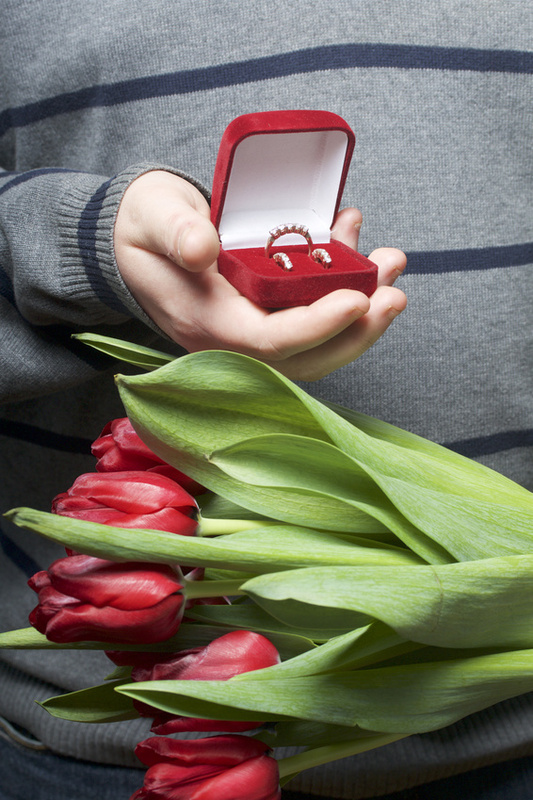 Nothing may be more romantic than giving that special someone custom jewelry. In fact, as many as a third of all American adults buying diamond jewelry reported they were willing to spend over $1,000. That’s dedication. However, did you know there were ways you could make your fine jewelry purchase even more romantic to dazzle the love of your life? Here are a few ways your custom jewelry designer can take your beautiful jewelry and take it a step further for something extra special. If the jewelry you’re choosing to give to your special someone is meant to be customized, why not customize it even more by bringing in a bit of culture? Certain cultures value specific types of beads and materials that symbolize love, health, and happiness. By incorporating these colors into your jewelry gift you could make your gift that much more romantic and meaningful. Another way to bring culture into your custom jewelry is to choose a cultural style. For instance, the Irish may truly have a lot of luck but they certainly know how to speak the language of love. A Claddagh ring symbolizes friendship, love, and loyalty and is often worn as an engagement ring or a wedding band. Whether or not your special someone is a fan of diamonds, an inscription can take a simple piece of fine jewelry and turn it into something lovely and meaningful. Consider inscribing the ring with the date you first met or a few sweet words. A personalized message inscribed in a ring can truly take customized jewelry to the next level. What’s more, your special words carved along the inside of the band will ensure no one will ever have the same ring. The fine jewelry your custom jewelry designer creates will be one in a million. it can be challenging to find the right jewelry for that special someone, especially if they already own fashion jewelry and know what they like. However, you can make custom jewelry gifts that much more romantic with just a few personal touches. For more information on personalized jewelry, contact McGee Jewelers today. Did you know that a third of people who purchase diamonds from their local jewelers will spend more than $1,000 on a single piece? Fine jewelry is a beautiful accessory, meant for catching the eye. Most common among these jewels are diamond engagement and wedding rings. For being one of the most valuable and meaningful pieces of custom jewelry people own, it’s often neglected and subject to the trials of everyday wear. Caring for your rings is important if you want to keep them dazzling as long as possible. Let’s look at the whys and hows of properly caring for your precious jewels. A lot of people out there wear their jewelry all day, every day. This is especially true of engagement rings. Not only is it good for the ring to be cleaned now and then, but it’s good for your skin, too! The build-up of sometimes invisible grime against the skin has been known to cause irritation and infection if not properly cleaned. Stay away from that happening and let your ring take a bath every once in a while. Sort of an offshoot of the previous piece of advice, responsible cleaning and maintenance will help your ring last longer. Everyday wear and tear isn’t always easily visible, but even some of the smallest of taps run the risk of loosening a stone (or a few). Bringing it in for metal repair and stone tightening every few months is recommended for keeping from stone loss and general upkeep that’s barely visible to most wearers, at first. Fine jewelry can be deceptive in the sense that precious stones and metals seem beautiful even when they’re dirty or in need of repair. Some people even go so far as thinking that precious stones and metals can’t be damaged! Yes, diamonds are incredibly resilient and metals are difficult to harm, but years and years of daily use will cause stress to the metal and gemstones alike. You want to keep that ring as shiny and brilliant as the day you received it. Don’t fall into the trap of complacency — invest in everlasting sparkle! If you aren’t sure where to start, a quick stop at one of your local jewelers‘ shops would be your best bet. They know exactly what your ring (or any other piece you have) needs to stay bright and beautiful; just like you. Gorgeous Gifts from Gabriel NY! One of our favorite brands for cool, modern styles is Gabriel NY. These guys know fashion and bring the looks to make you feel your best. Here are some great gift ideas from Gabriel. Each photo will link you to an eBrochure with more styles. The deadline for Christmas orders is quickly approaching. The holidays are right around the corner and many couples are searching for just the right gift to give the love of their life. But with all of the special occasions you’ve celebrated together, it can be difficult to choose a gift that has emotional and material value. Fine jewelry is one of the most classic and elegant holiday gifts. Beautiful jewelry can be customized according to style, metal, or diamond. Fine jewelry can even be engraved to ensure your significant other knows how much you mean to them. Birthstone pendant. A birthstone pendant is a custom jewelry design that’s automatically personal to the woman you love. What’s more, a birthstone pendant tells her how glad you are she was born and how happy you are to have her in your life. Remember: up to 61% of men consult with their girlfriend prior to choosing a ring, but with a birthstone, you won’t have to worry about whether it’ll make her feel unique. It will. Heart-shaped jewelry. No piece of fine jewelry is quite as classic as the heart-shaped necklace. The heart itself declares your love, but with small customizations, you can personalize your design to fit the woman in your life perfectly. Surround a heart-shaped pendant with gemstones or make her shine with gold. Any design you choose can’t go wrong. Charm bracelet. Charm bracelets are incredibly romantic and help tell the story of the two of you as a couple. Choose to only include a few charms to leave your personal story up to the future or fill it with charms that remind her of how you met, your first date, and your first anniversary. Dog tags. Dog tags have incredible potential for custom engraving. You can engrave either side with his initials, an inspirational quote, the date you first met, or words that tell him how much he means to you. Watches. Watches are unisex, but are often the go-to choice of jewelry for men. They can be casual, colorful, simple, high tech, or classic, which means you can easily find a timepiece to match your man’s personality. For special occasions like Christmas, consider choosing a quartz or sterling silver watch and engraving it with something meaningful. Cufflinks. Like watches, cufflinks are one of the most popular styles of jewelry for men. Consider getting him cufflinks inscribed with his initials for a little extra shine for those nights out on the town. Fine, custom jewelry is a wonderful and meaningful gift that can lift anyone’s spirits during the holiday season. For more jewelry designs and gift ideas, contact McGee Jewelers today. HOT DEALS FOR THE HOLIDAYS!! STOP IN TODAY TO SEE OUR FABULOUS FINDS FOR YOUR FAVORITE PERSON! WE’VE GOT THE ‘WOW’ YOU’RE LOOKING FOR! Scroll down or open in gallery view. In the United States, up to 75% of all brides receive engagement rings made from diamonds and gold. Not every bride is the same and many prefer silver, but there is one type of gold engagement ring that has been growing in popularity in recent years: rose gold. From jewelry to electronics, rose gold has slowly been taking over multiple industries because of its soft, peaceful color and unique flair that stands out among the others. What’s more is that rose gold, when used for engagement rings, come in a variety of styles that can make any bride happy. Rose gold has a wonderful, vintage and romantic look to it unlike other metals, and not just because of its pink hue. Rose gold was incredibly popular during the 1920s during the American age of wealth. Stylish women and men flocked to their jeweler for vivid colors like rose gold to incorporate them into fine jewelry designs. Because rose gold is made up of approximately 22.5% copper and 75% gold with a little silver to make the color more subtle (higher percentages of copper alloy makes the color a brighter red), rose gold comes at an affordable price point. Many brides of various ethnicity will often compare gold and silver to their skin tones to see which color looks the best. Whether you’re dark skinned or light skinned, warm-toned or cool-toned, rose gold compliments every bride. Rose gold can be used in a wide range of outstanding bridal jewelry and various types of wedding rings. With multiple types of stones, finding a ring with a jeweler that’s custom fit to your style will be far easier than you think. Rose gold is not only a timeless and romantic color, but it also makes for an incredibly unique and beautiful engagement ring. For more ideas about how you can incorporate rose gold into your custom jewelry design, talk to your local jeweler today. Why Do We Propose With Diamond Rings? Diamonds weren’t always the centerpieces in engagement rings; however, they did begin to flood local jewelers’ shops in the 1870’s when miners in South Africa began discovering huge diamond deposits. This allowed the diamond to go from a rare gem to a fairly common item. But even after they became widely available, diamond engagement rings didn’t really take off until the 1930’s. There are many different traditions involving engagements. It is said that the practice of engagement rings was to have started in Ancient Egypt. Ancient Egyptians believed the circular shape symbolized an eternal cycle, making it the perfect symbol for everlasting love. The fourth finger on the left hand was believed to have a vein that went directly to the heart, so this is the finger the ring was — and still is — worn on. In England, one tradition was for the man and woman to break a piece of silver or gold, each keeping half to symbolize their engagement. Up until the 19th century, some women in America received thimbles for their engagement. After the wedding, they would cut off the bottom of the thimble and wear it as a ring. The first known case of a ring being required was in the 12th century. Pope Innocent III stated that all weddings must take place in a church and the bride had to receive a ring. Diamond engagement rings gained popularity thanks to an advertisement campaign by a jewelry company called De Beers in 1938. The demand for diamonds had been on a decline and the company knew they needed to do something to increase business. New York ad agency N.W. Ayer helped them create a campaign that would change the world of diamonds forever. The campaign featured some of Hollywood’s biggest stars wearing diamonds and had fashion designers promoting diamond rings. People rushed to local jewelers and diamond sales went up by over 50% in the first three years of the campaign. “A Diamond is Forever” became De Beers’ slogan and they still use it today, almost 70 years later. The slogan reiterated that a diamond is a symbol of eternal, unbreakable love. Within 20 years of the start of the campaign, 80% of brides had diamond engagement rings. Engagement rings are the most common tradition to officiate an engagement in America. Every year, 38 million Americans will purchase fine jewelry or watches. Jewelers can work with customers to ensure their jewelry is exactly what they want. Nowadays, people have the opportunity to have custom jewelry made. While diamond engagement rings are still the most in demand, other colored stones are gaining popularity. Whether you’re looking for an engagement ring or a wedding band, local jewelers will be able to assist you with all of your wedding jewelry needs. For many people in America, the engagement ring is the symbol of love and fidelity. It is the promise of a lifetime of commitment and happiness given physical form. That is why so many people place so much importance on finding the most beautiful ring available. Of course, this can result in a great deal of pressure on the party buying the engagement ring. That is why 61% of people consult with their partners before choosing which of the engagement rings is for them. All too often, however, another important advisor is neglected: local jewelers. While many people are wary of jewelers because of the high-pressure sales techniques used in some chains, many local jewelers will go out of their way to make sure the engagement ring you choose is a perfect fit. This five-minute guide is designed to give you the tools to tell when a jeweler has your best interests at heart. You can tell a lot about a jewelry store by the people they hire. Do they have an in-house expert on fine jewelry? An in-house custom jewelry designer? Whether you are working with local jewelers or a big chain, the people working there should be able to answer all of your questions, or at least point out the employee you can. Whether you are looking for a wedding band or custom jewelry, it is important to make sure that your jeweler is going through the proper channels to have their diamonds and precious gems verified. You should always ask for a third party certificate when buying diamonds. There are a number of reputable and independent labs that offer the services, including the Gemological Institutes of America, American Gem Society and more. The certificate should say if the stone is natural and what treatments have been applied, as well as listing color, carat, and diamond quality. It is important to know what a jeweler can and cannot do. A gemologist has expertise in precious and semi-precious stones and can be amazingly helpful when trying to find the right stone for your personal tastes and your budget. A Bench Jeweler can resize and even repair your ring. The more services that are offered, the more likely they are to be invested in the quality of your ring and ensuring your happiness. Local jewelers are your best tool for finding the perfect engagement rings for your partner. Using these tips can help you feel more at ease when looking at engagement and wedding rings. When shopping for beautiful jewelry, women often look for metals that complement their skin tone. However, when it comes to engagement and wedding rings, the color of the band is often forgotten in lieu of the diamond. This can be a detrimental mistake as skin tone often influences what colors we look best in. Before you choose your engagement ring or the engagement ring of your partner at your local jeweler, consider the two categories of skin tone — cool and warm — and how the metal in different types of wedding rings and engagement rings might complement them. A person has a cool skin tone if their veins appear blue through the surface of the skin. People with cool skin tones tend to look particularly beautiful in rose gold, white gold, and silver. Rose gold, in particular, is a popular choice for people with cooler tones. However, keep in mind is that rose gold is a contemporary color choice in terms of engagement rings and wedding bands. Therefore, you should think about the long term and whether or not you’ll still love the color choice of your ring years in the future. On the opposite side of the spectrum are warm skin tones, which is when a person’s veins appear green beneath the surface of the skin. Of those American brides who received engagement rings, 75% of those rings were made from gold and diamonds. Those with warm skin tones look incredible in beautiful jewelry made from yellow gold. However, rose gold isn’t an exclusive color for those of cool skin tones. Those with dark skin bring out the feminine quality of rose gold and the color looks wonderful when placed in contrast either with pale or dark skin. Beautiful jewelry made of different metals can complement people of different skin tones. However, when it comes to an engagement or wedding ring, the choice is ultimately yours. If a particular metal feels good to you and you love a specific ring, then listen to your heart. After all, your ring is a symbol and it should be a symbol you love.